"When I saw Lulu, strangely enough I made right for her, and she came to me," Katherine Harris, a patient at St. Luke's Hospice, said. "I don't know how, but she made me feel better." 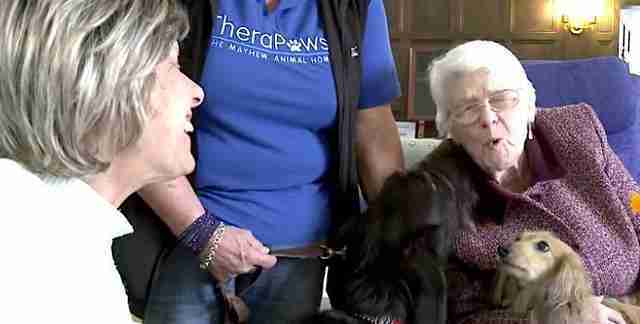 This is the magic of a program called TheraPaws, which brings animals to people who are sick, elderly or at the end of their lives. 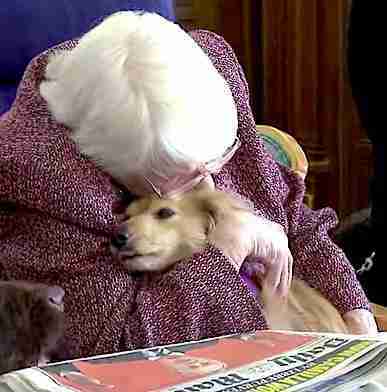 Run by The Mayhew Animal Home in London, England, volunteers take their dogs, and occasionally a kitten, to hospice care programs, hospitals and dementia care homes. "As soon as someone sees the dog walk in, their face lights up," Luke Berman, project manager for TheraPaws, said. Some patients in these homes really seem beyond all hope. One woman hadn't spoken or eaten in three days. But when a volunteer from TheraPaws came in and put Lulu on her bed, the woman started patting her. Then she started talking - about the dog. And then she agreed to take her medicine and talk to her family again. "It's a laugh," Stella Bennister, another patient at St. Luke's Hospice, said. 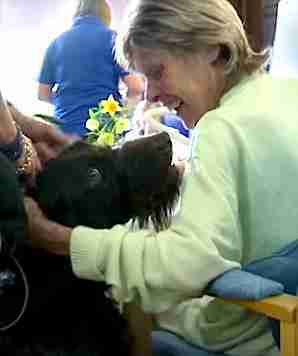 "You don't often hear people laughing in a hospice ... but when the dogs come you hear people genuinely laughing." The volunteers who bring their dogs on these special visits also feel the warmth. "Just being in the presence of animals is lovely and any creature that can trigger memory or bring warmth and affection is worthwhile," said Stephanie Talbot, who brings the oldest TheraPaws dog, 17-year-old dog Bertie, on visits. "If my dog can bring a little sunshine to someone's life then how terrific is that?" 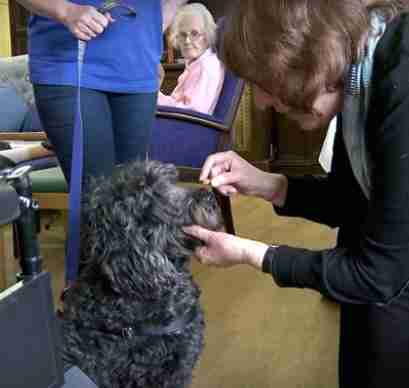 Fifty TheraPaws dogs already visit 43 care homes all across London. Because of the positive impact these special dogs are having, the program is setting its sights on expanding. "Time is a precious commodity," Harris said. "It's something we never get back. Who would give up their time to take their dogs to visit people? Not a lot of people do that." 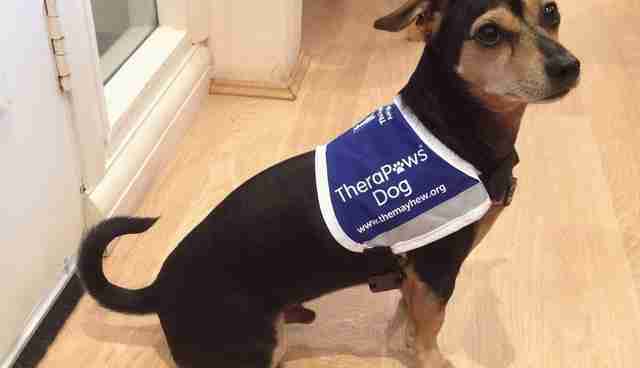 To learn how you can get involved in TheraPaws, click here. To donate to The Mayhew, click here.